This dish is so simple to throw together, and so delicious. It's a no-cook dish, perfect for the summer months when you can't bear to turn on an oven! I love these mushrooms on burgers, in wraps, as a tasty side dish or tossed with greens as a divine salad! Combine all marinade ingredients in a bowl and whisk until fully combined. 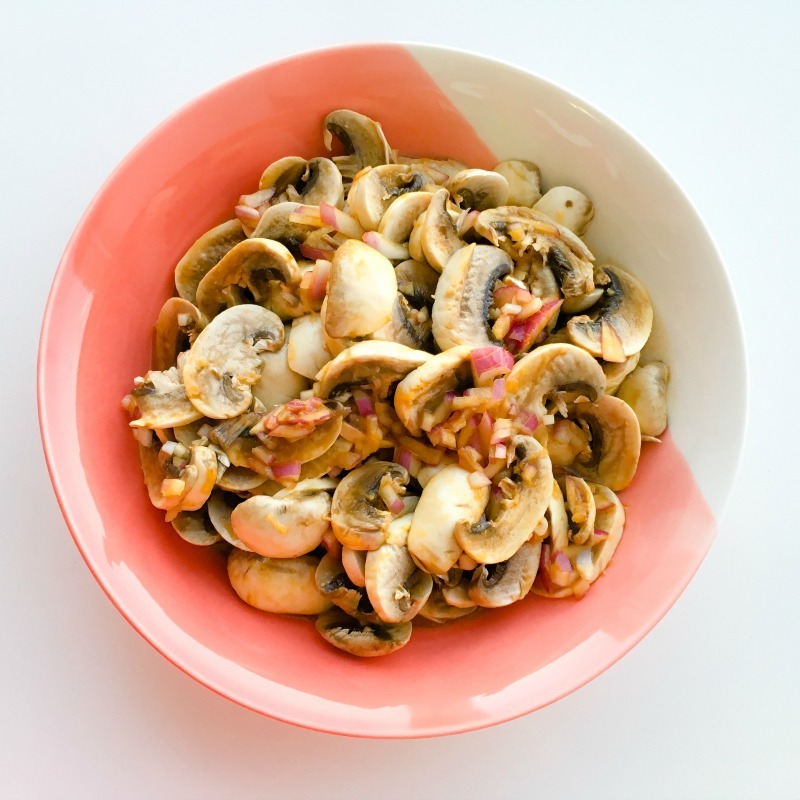 Add sliced mushrooms to marinade and leave to sit for an hour. Stir occasionally to ensure all mushrooms are marinated. Serve with burgers, as a side dish or on a veggie wrap.